The first time I heard of a grungy can, I had to find out what it was, and once I seen one I knew I had to make my own. 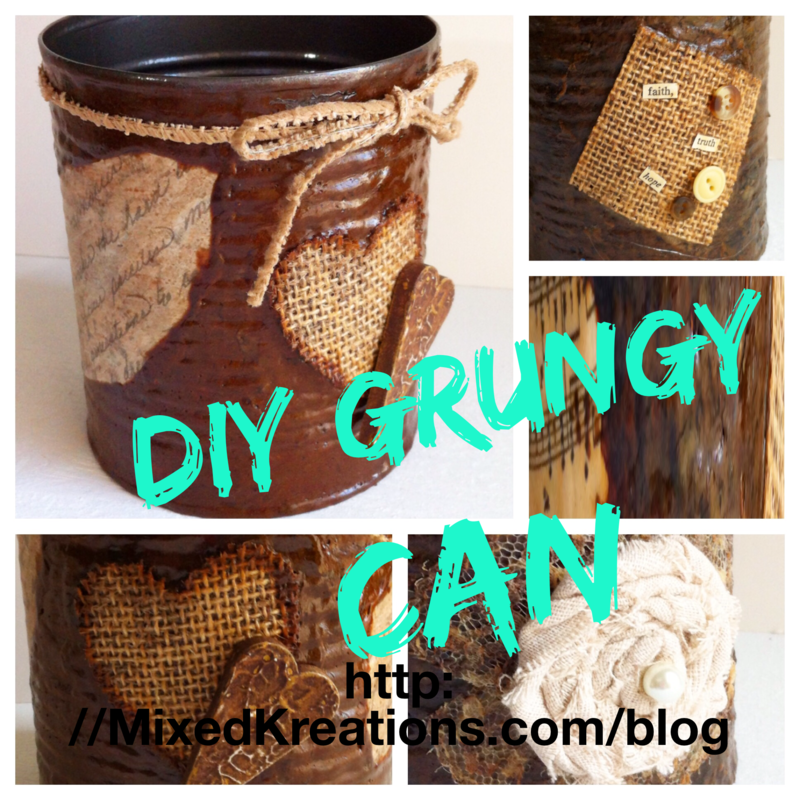 It started out twirling around in my head, than the idea came for my Diy Grungy Can. I made this grungy can quite a while back but never got around to making a tutorial. 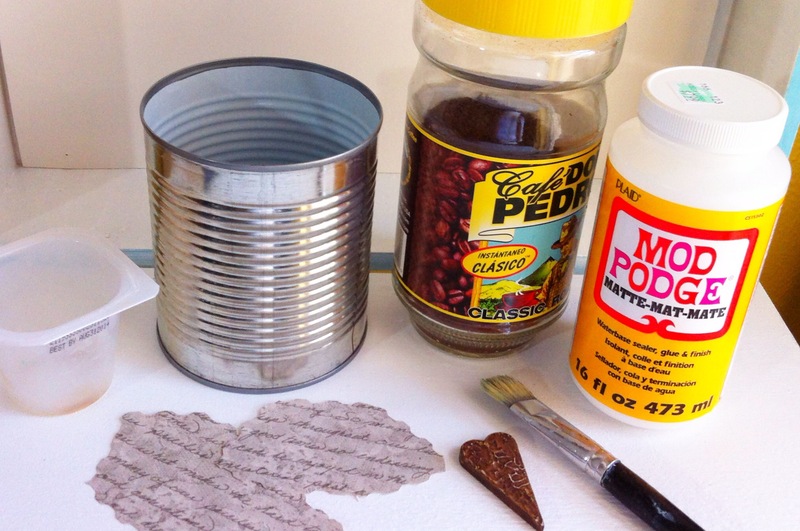 Then when I was going through my pictures and clearing some of them out I ran across these pictures for my diy grungy can. I first cut a piece of scrapbook paper, whatever shape you desire. 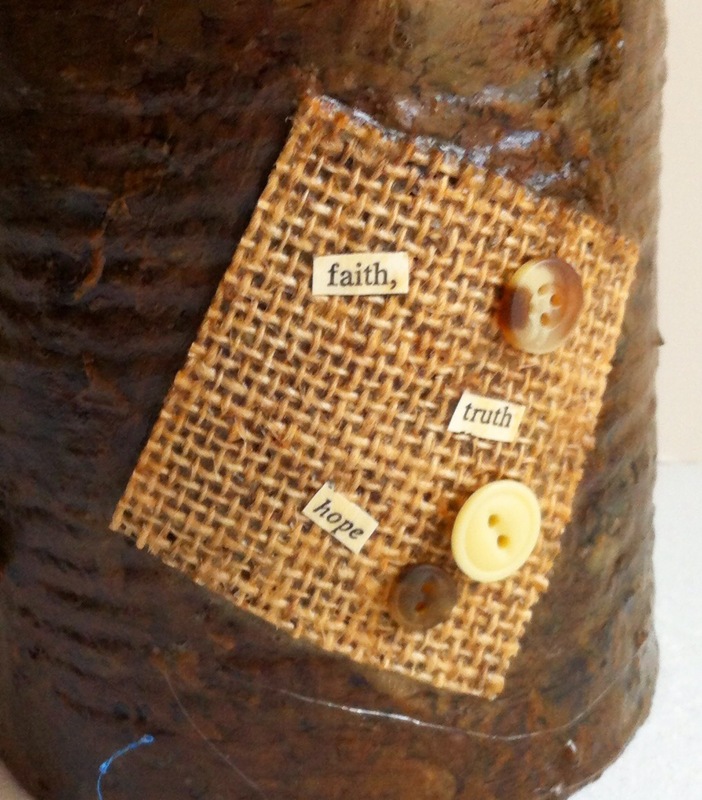 Then Mod Podge it on your tin can, and Mod Podge over it also. 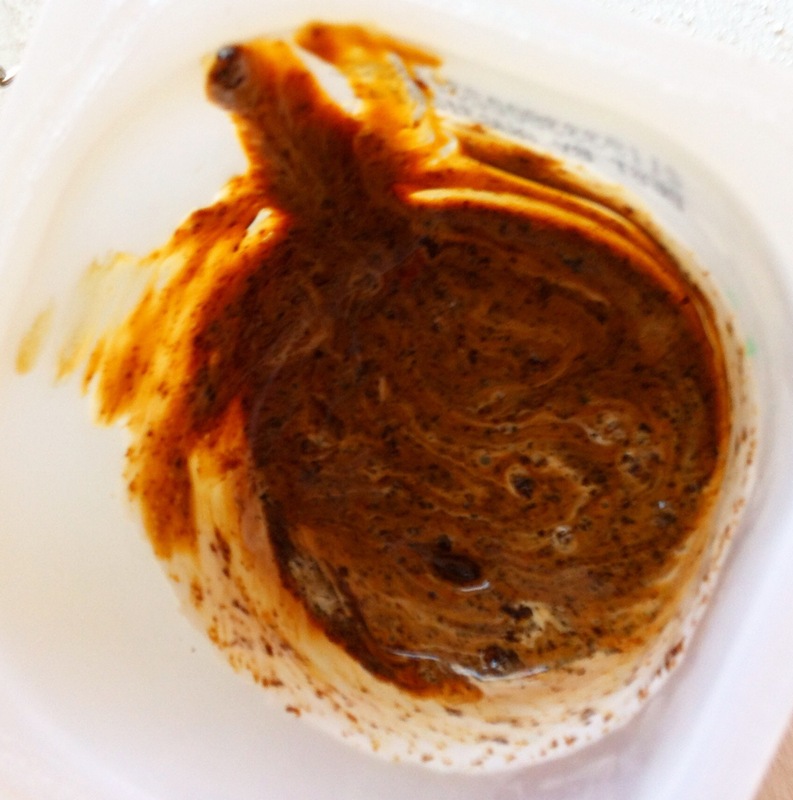 To make your grungy can you will need a mixture of Mod Podge and coffee granules. 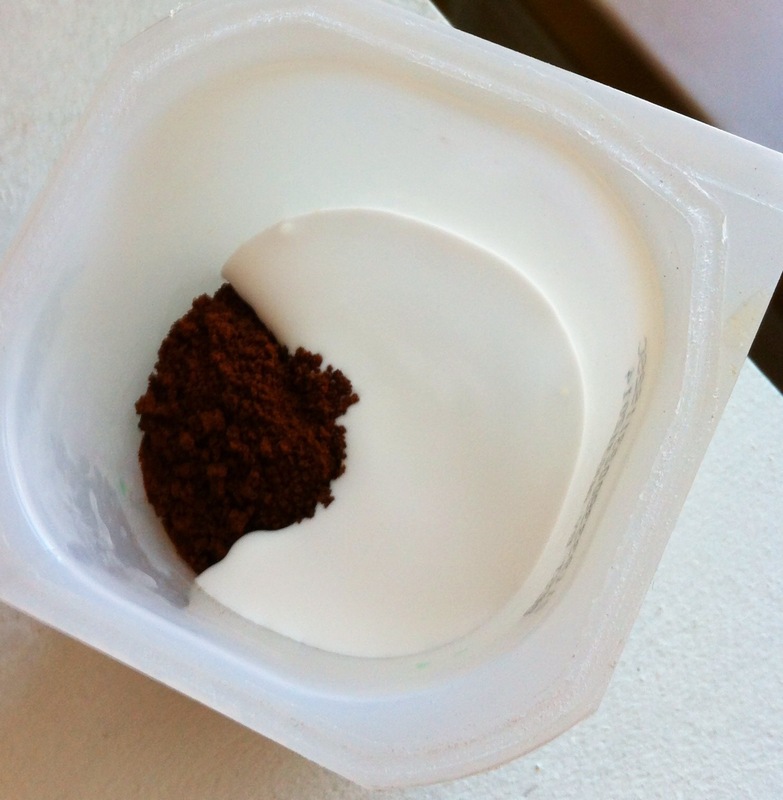 Add to a disposable container and mix well. Start by painting the edges and around your scrapbook paper. 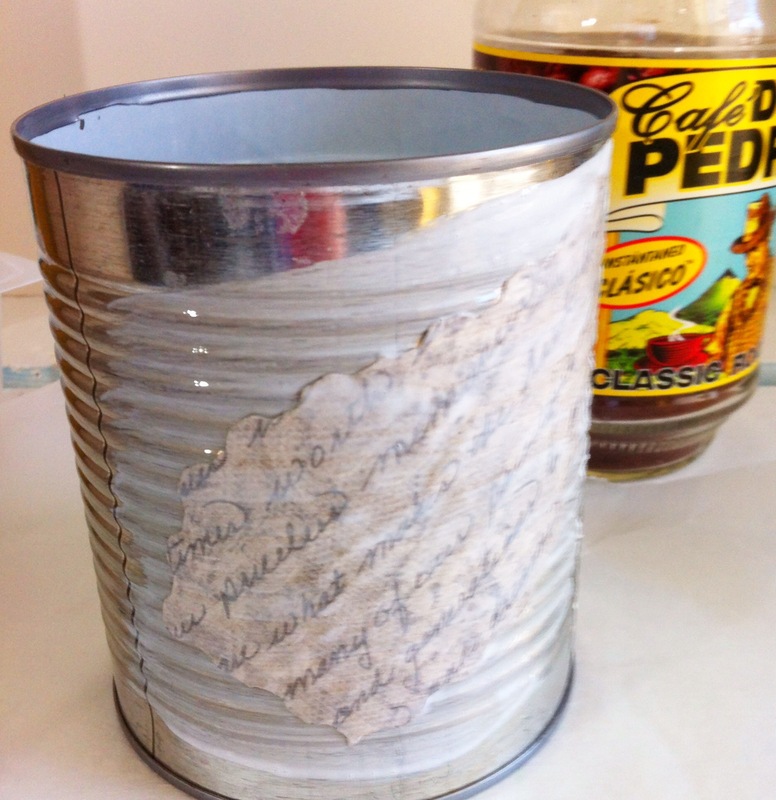 Cover your can completely with the mixture, except over the scrapbook paper. 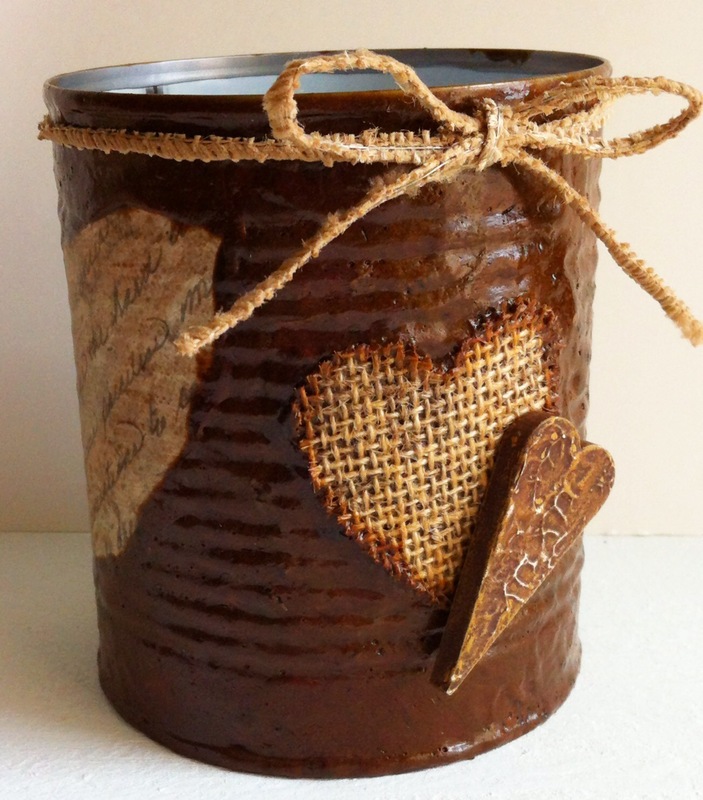 I added this burlap heart by sticking it to my grungy can while it was still wet, then dap some of the mixture to the edges. The wood heart was glued on once it all dried. This burlap square was added to the wet side of the grungy can like above. The words were added later with Mod Podge and the buttons were glued on. This one was on another can that I had made, by placing pieces of lace in a circle on top of the wet mixture, then sapping a light coat of mixture over top. The handmade fabric flower with the Pearl center was glued on later. 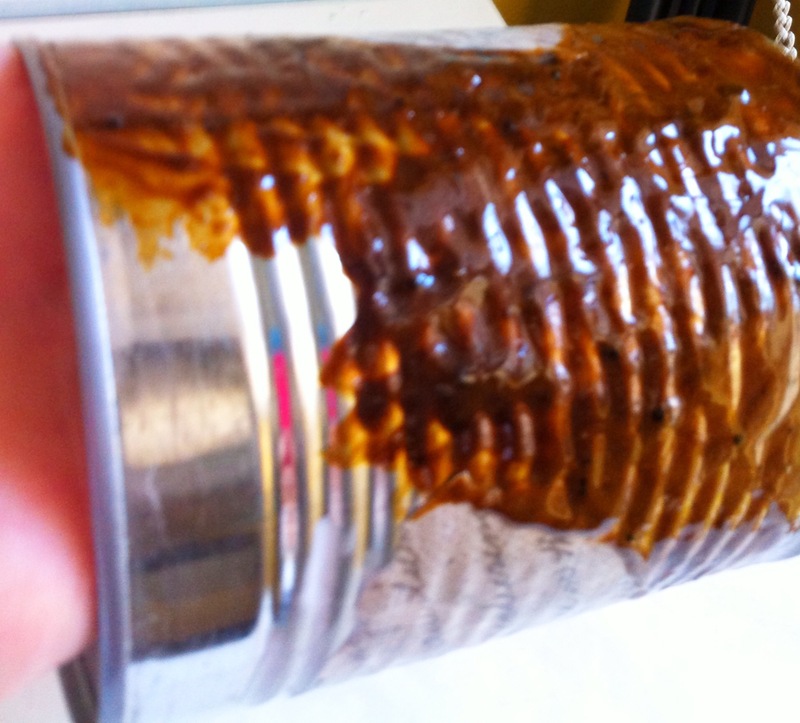 Have you made any grungy cans or bottles? If you found this post helpful Please share, or pin and save for later. Thanks! It’s amazing what you can do with a handful of supplies. Your grungy can is really great to look at, and I admire your creativity. Thank you Davina! 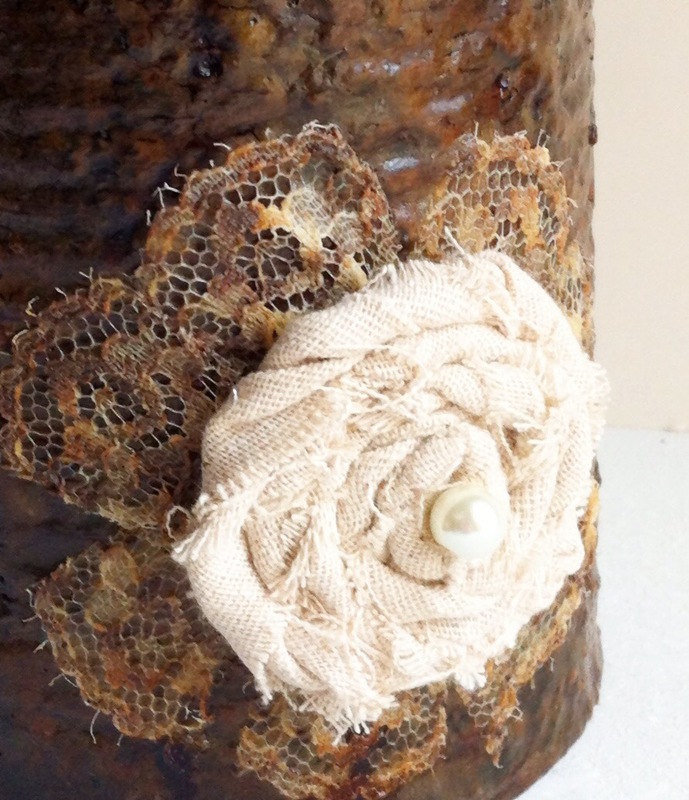 This grungy can was really easy to make and I don’t think you could really go wrong anyway you embellish it. Makes great storage for the craft room. Thanks for stopping by! I LOVE, LOVE, LOVE this project!! It’s looks vintage! Amazing!! Stopping by from #WAYWOW and I’d love to have you come over and link your post up to my craft party which starts at 7pm EST. and is new every Thursday! I also pin every post! Thanks for the invite Denise! I had never heard of a “grungy” can! I learn so much each day from bloggers like you who share their creations! It’s pretty amazing what a bit of coffee can create? I knew coffee was the wonder drug, but this is another plus to add to the coffee list! Your grungy can looks great! I love the fabric flower! Thanks Tara! Sometimes great things just pop in your head! LOL and they just happen to do that in the middle of the night so I can’t sleep Grrrr until I draw a picture or make a note. These little flowers are so easy to make and can be used in all kinds of projects. 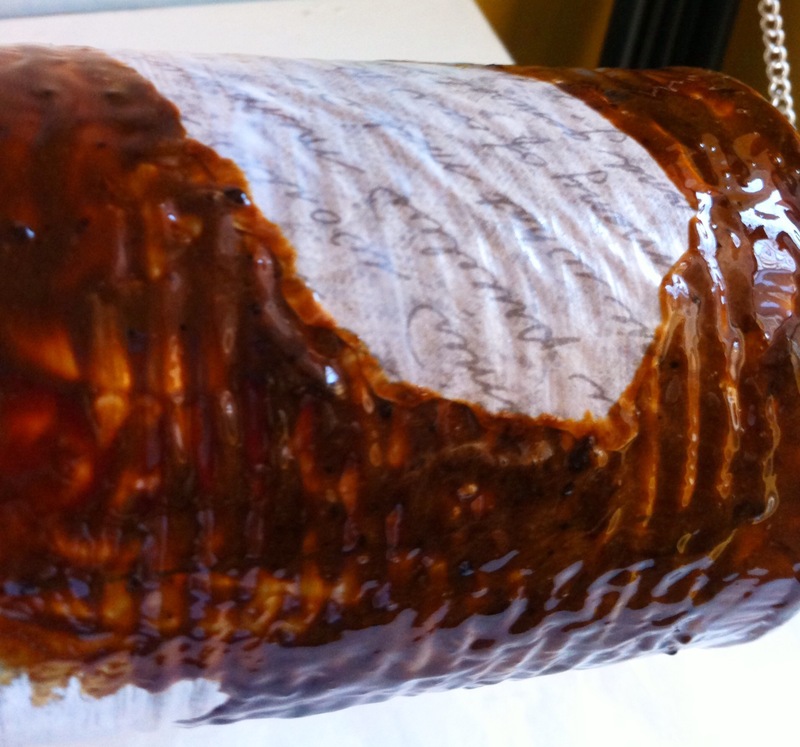 I have used coffee to stain paper before Linda, but it never occurred to me to add it to glue – cant wait to try it! Sarah, I have used coffee and tea to stain paper, and fabric. Then one day I that just popped in my head so I gave it a try. It works great, and it doesn’t take much at all.